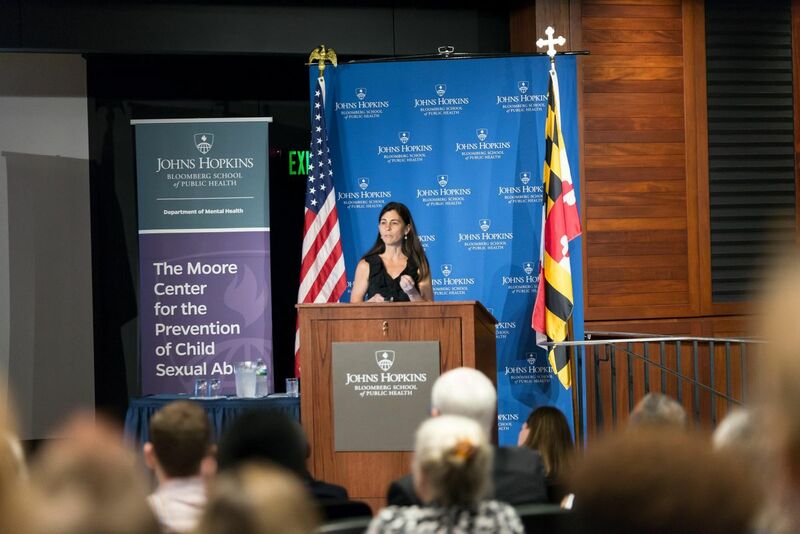 Our 2019 symposium will highlight current policy and prevention strategies to shift the national landscape toward the prevention of child sexual abuse. We are working on offering CEUs for Social Workers. We will update the site with more information when registration for CEUs is available. In the meantime, please contact Amanda Ruzicka at YXJ1emlja2EgfCBqaHUgISBlZHU= for more information. This year's "lunch and learn" features a luncheon and talk by John Thorne, a graduate student in the Department of Mental Health. The lunch will be held in Feinstone Hall, E2030 (one floor up from the symposium). Lunch is $10, and space is limited so please register early. In the event you need to cancel, please note that refunds will only be issued until Thursday, April 4. Following Mr. Thorne's talk, please join us for our free student poster session, which will provide excellent networking opportunities. 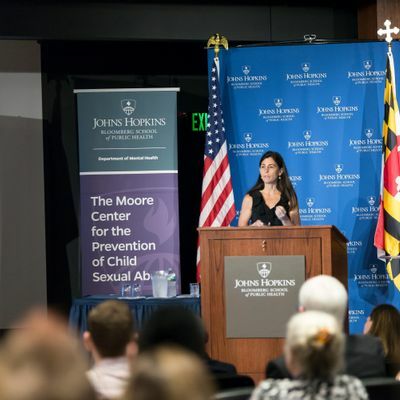 Posters will feature all aspects of child maltreatment, including child sexual abuse, child physical abuse and neglect, bullying, peer-on-peer harassment and prevention policy and practice by graduate and undergraduate students. The session will run from 12:30 to 1 pm in Feinstone Hall (E2030). Winners of the poster session competition will be announced during the session and receive cash prizes. If you are a student and would like to submit a poster abstract, please click here. Please bring your ID with you to receive your visitor's badge. What are my lunch options for the event? Our lunch and learn presentation is $10 and includes a catered lunch and in-depth discussion of our research. Other options on campus can be found here. Contact Amanda Ruzicka with questions. Refunds for the "lunch and learn" will be issued one week following the event. The deadline to request a refund is Thursday, April 4.